Patient will present as→ a 54-year-old male presents with a slowly enlarging mass on the dorsum of his left wrist which has been present for 3 years. He denies any significant symptoms. 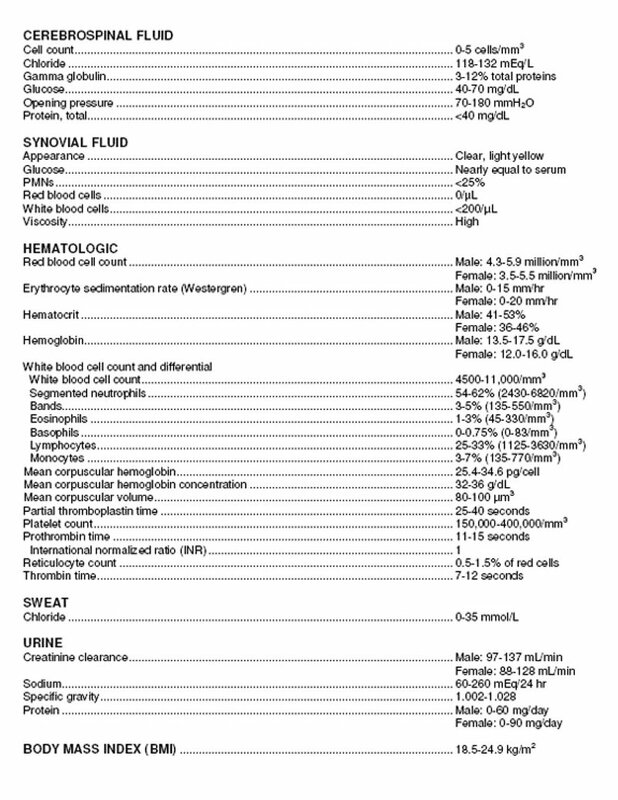 Physical exam shows a 1 cm palpable mass which transilluminates. Occurring usually on the hands, especially on the dorsal aspect of the wrists. 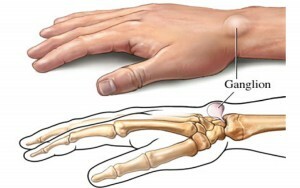 Median or ulnar nerve compression and hand ischemia due to vascular occlusion may be caused by volar ganglion. 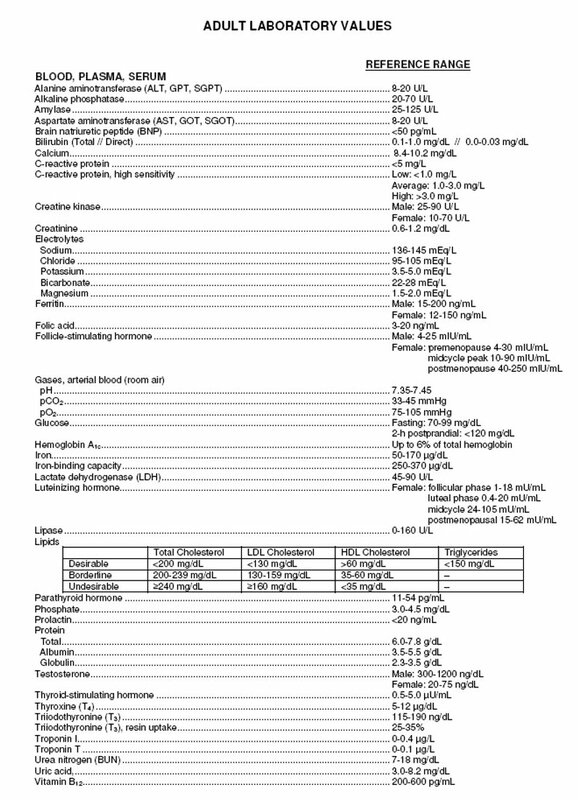 Usually asymptomatic but may cause issues with cosmesis. Firm and well circumscribed, often fixed to deep tissue but not to overlying skin, transilluminates. Ultrasound: useful for differentiating a cyst from a vascular aneurysm, may provide image localization for aspiration while avoiding artery. Most ganglia do not require treatment. However, if the patient is disturbed by its appearance or if the ganglion is painful or tender, a single aspiration with a large-bore needle is effective in about 50% of patients. 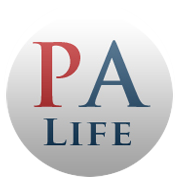 Observation is the first line of treatment in adults. In children 76% resolve within 1 year. Aspiration is the second line of treatment in adults with dorsal ganglions - aspiration typically avoided on the volar aspect of wrist due to the radial artery. Excision if severe symptoms or neurovascular manifestations. 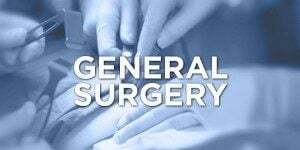 Recurrence rates after surgical excision are about 5 to 15%. A 10-year-old boy presents with a painless mass on the dorsal aspect of his wrist that has been present for 3 weeks. 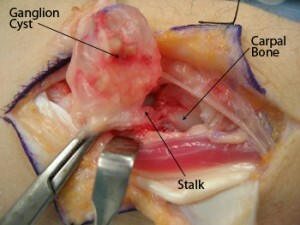 A clinical image is shown here. 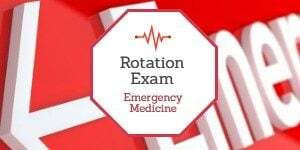 On your exam, the mass transilluminates and Allen test reveals patent radial and ulnar arteries. What is the most appropriate next step in management? Referral to an orthopaedic oncologist is not indicated. This child has a ganglion cyst on the dorsal aspect of his wrist. Imaging provided shows a well-marginated, homogenous signal intensity mass consistent with a ganglion cyst. 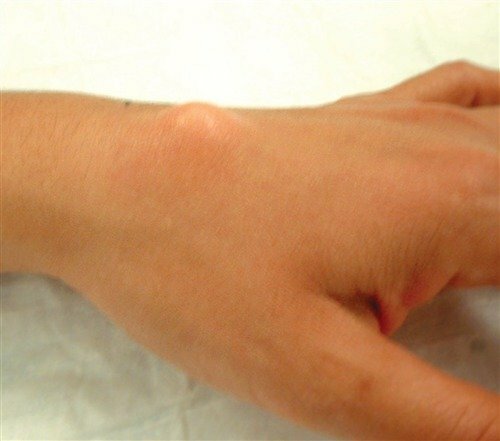 Physical examination findings of a mass transilluminating corroborate the findings of a ganglion cyst. 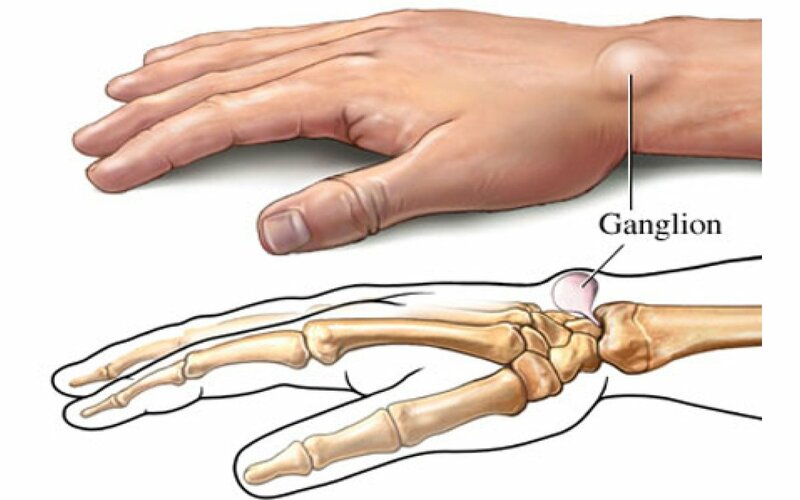 Performing Allen's test to evaluate radial and ulnar artery collateral blood flow is especially important when evaluating ganglion cysts on the volar aspect of the wrist as they are often adjacent to the radial artery. Wang et al. performed a Level 4 review of 14 children with hand and wrist ganglion cysts and found that 79% of these cysts resolved spontaneously within 1 year. Autologous bone marrow aspirate injection is a treatment option for unicameral bone cysts and N-Butyl-Cyanoacrylate injections have been described for treatment of hemangiomas. Referral to an orthopedic oncologist is not indicated.